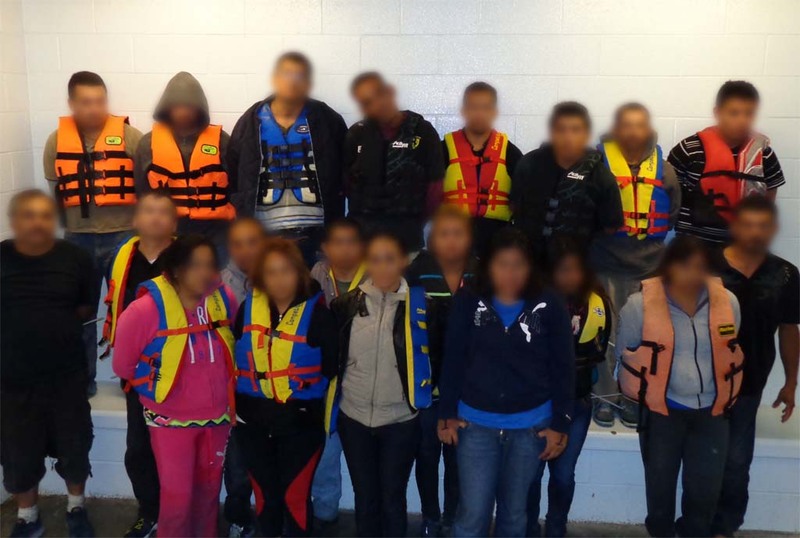 OCEANSIDE — In the early morning of Aug. 26, agents from U.S. Customs and Border Protection’s Office of Air and Marine (OAM) stopped a panga off the coast of San Diego County loaded with 20 people attempting an illegal entry into the country. At around 1 a.m., CBP Air Interdiction Agents in an OAM Multi-role Enforcement Aircraft (MEA) King Air 350ER spotted the 30-foot panga around 30 miles from the coastal city of Del Mar. The MEA crew directed two OAM Interceptor boats to the panga’s location. The OAM boats caught up with and stopped the panga about 12 miles west of the city of Oceanside at around 2:30 a.m. The United States Coast Guard Cutter Tern was also in the area providing information and assistance. The panga and passengers were taken to the Oceanside Harbor where they were turned over to the U.S. Border Patrol for processing. There were 13 men and seven women on board. All were Mexican nationals except two men from Guatemala and one man from El Salvador. The passengers’ ages ranged from 20 to 51 years old. Two men from the panga will be prosecuted for human smuggling. Customs and Border Protection is a member agency of the Regional Coordinating Mechanism (ReCoM). The ReCoM is comprised of the U.S. Coast Guard, CBP’s Office of Air and Marine, Office of Field Operations, U.S. Border Patrol, Immigration and Customs Enforcement Homeland Security Investigations and state and local law enforcement partners operating in Southern California. The ReCoM coordinates planning and operations to target the threat of transnational crime along the coastal border. If you have information about maritime smuggling or suspicious activity along the coast of California, contact the Joint Harbor Operations Center at (800) 854-9834.